Hyderabad: Pharma giant Dr Reddy’s Laboratories (DRL) has announced a Voluntary Retirement Scheme (VRS) for employees of its Mexico subsidiary as part of cost-cutting measures, according to a top company executive. 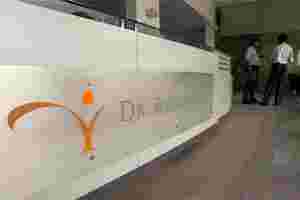 DRL CEO and vice chairman G V Prasad said the VRS scheme is aimed at trimming the overstaffing problem at the company. “There has been a little bit of overstaffing in the organisation in the previous years. I do not think we have any particular number (extra staff). Wherever we feel overstaffing, we are trimming," Prasad told PTI on the sidelines of a function at the Indian School of Business here. Industrias Quimicas Falcon de Mexico SA de CV, the company’s subsidiary in Mexico, had announced an early retirement plan for its employees effective from 1 October to 31 December, 2011, DRL said in a filing to the Securities and Exchange Commission recently. “The company has received applications from the employees and has estimated that the impact of the plan will not be material to operations when the company concludes the plan," the filing said. DRL acquired its Mexico plant from Roche in 2005 for $59 million, along with 18 products, including mature APIs and a range of intermediates and steroids. At the time of acquisition, the plant had an employee strength of nearly 340 people. Last year, DRL reduced its workforce in Germany to around 80 from 200. The move was aimed at reducing costs in tune with revenues from that country. In June, the company had announced a VRS scheme for its Indian workforce, which comprises nearly 14,000 employees, and allotted ₹ 13.6 crore toward the total programme. It had completed the VRS process as of 30 September, 2011, after rejecting certain employees’ applications. An amount of ₹ 4.20 crore has been recognised as termination benefits under the VRS till the end of the second quarter.